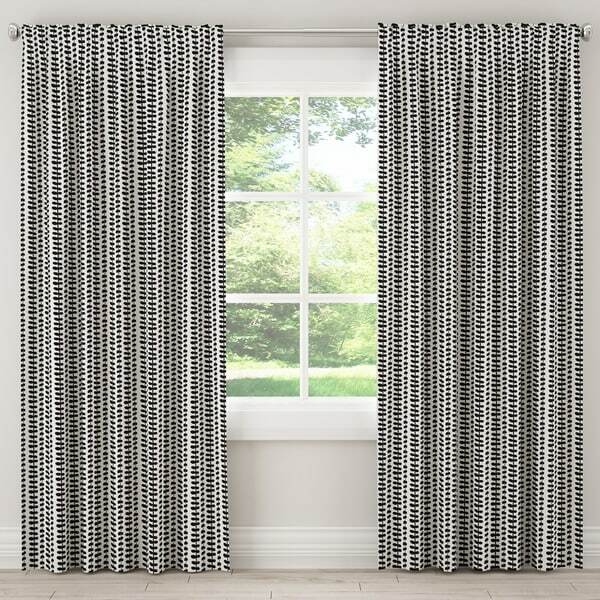 Perfect for afternoon nappers or those who work at night, this blackout curtain panel is functional and stylish. A black vine-like pattern covers the white background and gives this panel a grey look from far away. Use this linen and cotton blend panel to add a bit of modern flair to traditional rooms. Since this item is made to order, please allow 1-4 weeks for production time and quality checks before the item leaves our warehouse. You may only cancel a made to order item within 24 hours of submission. Due to the unique nature of this product, we are not able to accept returns. For additional return information please contact our customer service team.